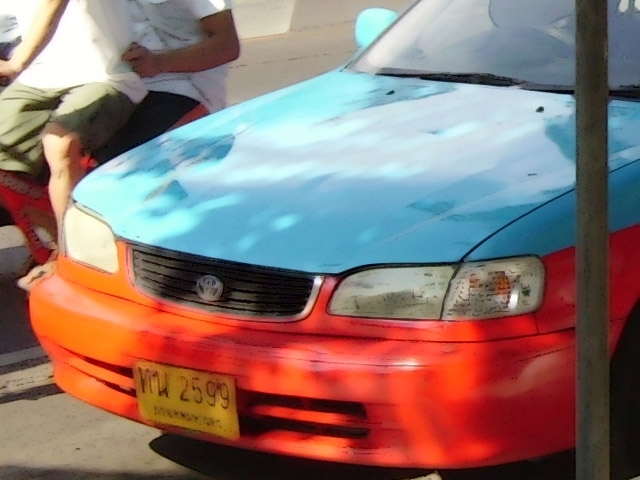 Taxis come in all kinds of colours in Bangkok. The blue/red is common, all pink, yellow/green. All of them seem to be Toyota Camrys. Just because a taxi stops for you doesn't mean they'll agree to take you to your chosen destination. You can end up hailing four or five taxi before getting the very subtle headnod which means "get in bro". 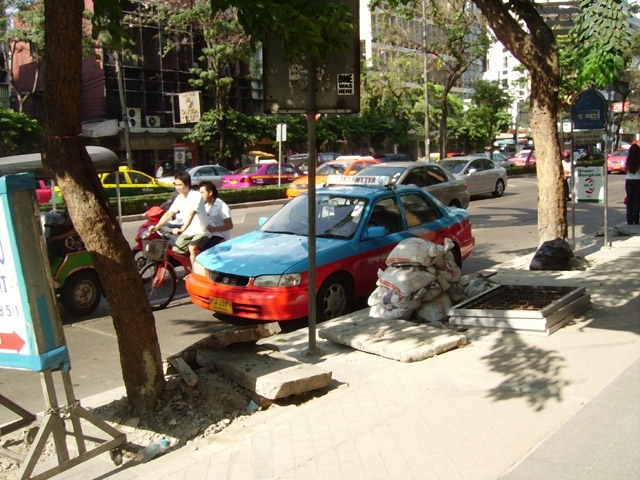 A story that's doing the rounds is a tourist asking the taxi driver to take him somewhere where he can get a thai massage. 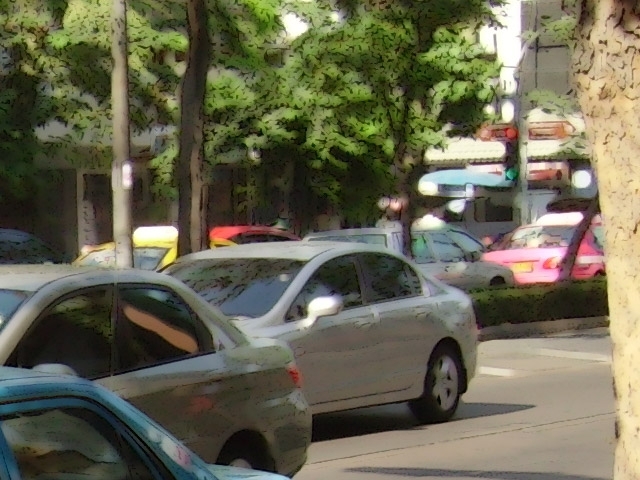 The driver took him to Thammasat University, about an hour out of Bangkok.